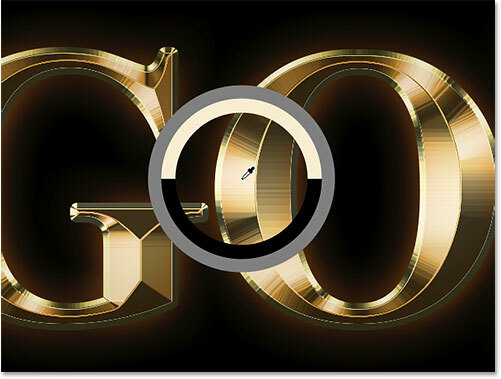 Turn type into gold with this step-by-step tutorial that shows you how to create shiny gold letters and text in Photoshop! 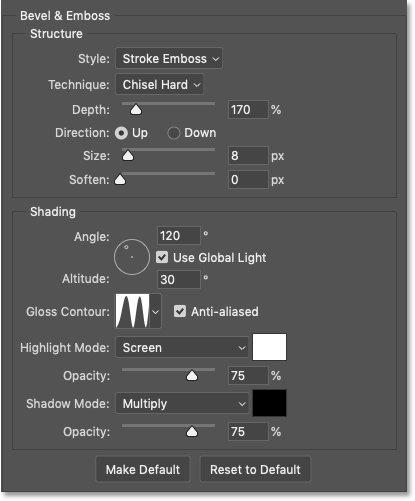 Now fully updated for Photoshop CC 2019! 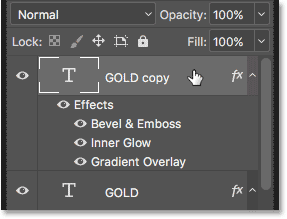 In this tutorial, I show you how to easily create a gold text effect with Photoshop using simple layer effects and gradients. 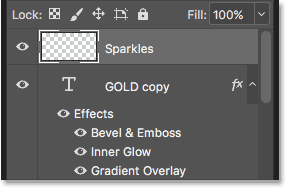 And to make the gold letters really shine, we'll finish off by adding sparkles to the text using one of Photoshop's brushes! 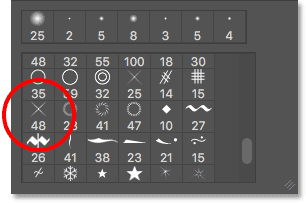 I've updated this tutorial to include recent changes to Photoshop, like the new Brushes panel in Photoshop CC 2018 and the new Free Transform shortcuts in CC 2019. 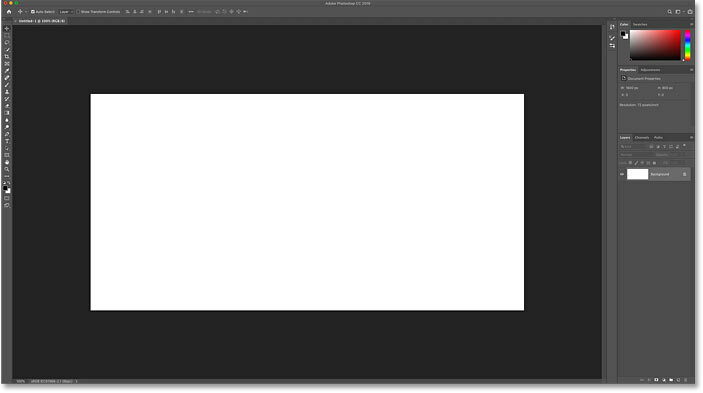 So for the best results, you'll want to be using the latest version of Photoshop CC. But where needed, I also include the original steps so that Photoshop CS6 users can still follow along. I'll start with the steps for setting up the document and adding the initial text. 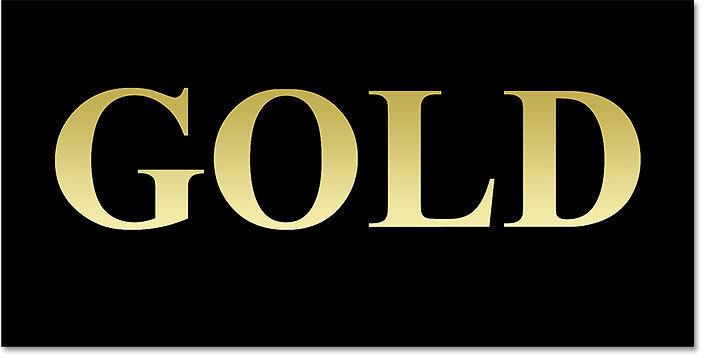 But if you have already added your text, you can skip to Step 8 where we start turning the text into gold. 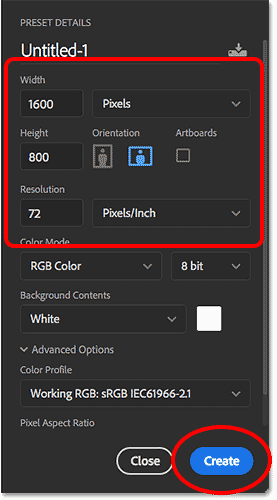 And in the New Document dialog box, set the Width of your document to 1600 Pixels, the Height to 800 Pixels, and the Resolution to 72 pixels/inch. 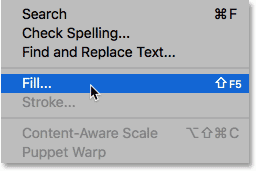 Setting the Width, Height and Resolution of the new document. 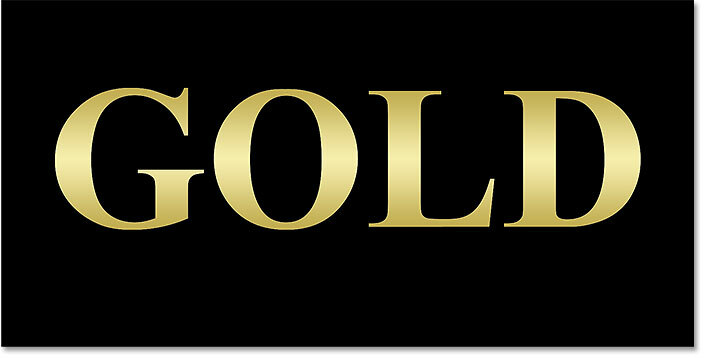 To help the gold letters stand out, change the background color of the document from white to black. The document after filling the background with black. Then in the Options Bar, choose your font. For this tutorial, I'll keep things simple and use Times New Roman Bold, but you can use any font you like. Choosing a font and setting the size to 72 pt. To see the text against the black background, set the initial color of the type to white. We'll add the gold colors later using layer effects. Changing the type color to white. Click inside the document and add your text. 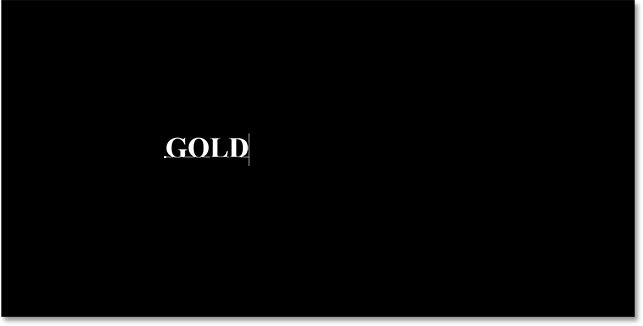 I'll type the word "GOLD". Then resize the text by clicking and dragging any of the corner handles that appear around it. But this is where we run into a difference between Photoshop CC and CS6. 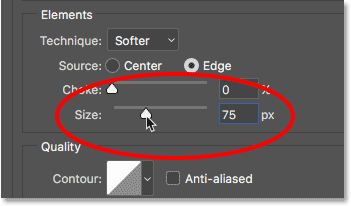 As of Photoshop CC 2019, Free Transform now locks the aspect ratio automatically as you drag the handles, so you don't distort the shapes of the letters as you resize the text. 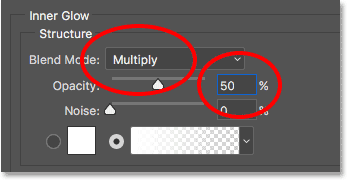 This is the behavior we want, so if you're using Photoshop CC, you can just drag the handles without adding any modifier keys. But in CS6, you need to press and hold your Shift key as you drag the handles to lock the aspect ratio in place. And when you're done resizing the text, make sure you release your mouse button before releasing the Shift key. Once you've resized the text, move it into the center of the canvas by clicking inside the Free Transform box and dragging the text into position. Resizing the text by dragging the corner handles. Now that we've added the text, we're ready to start turning the letters into gold. 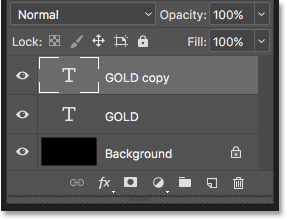 The "GOLD copy" layer appears. 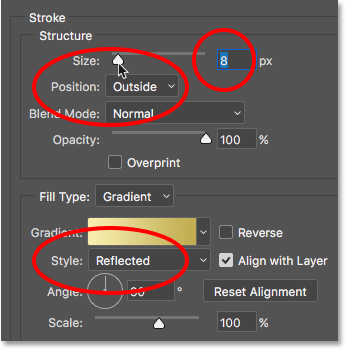 Clean up your Layers panel in Photoshop with these essential tips! 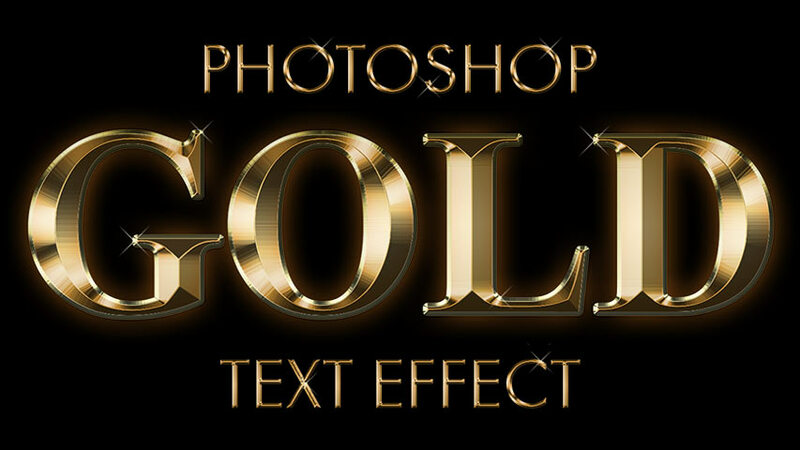 To turn the text into gold, we'll use Photoshop's layer effects. And the first effect we need is Gradient Overlay. We'll use it to add some gold colors to the letters. 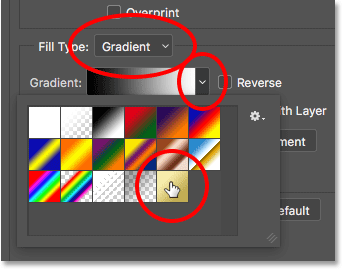 Choosing a Gradient Overlay layer effect. 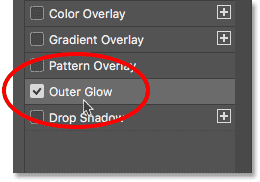 Photoshop opens the Layer Style dialog box set to the Gradient Overlay options. Resetting the Gradient Overlay options. 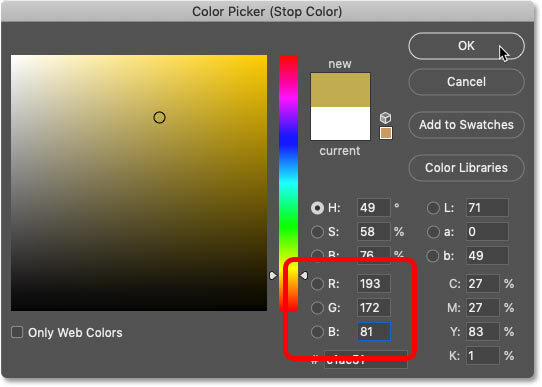 Double-clicking the left color stop. 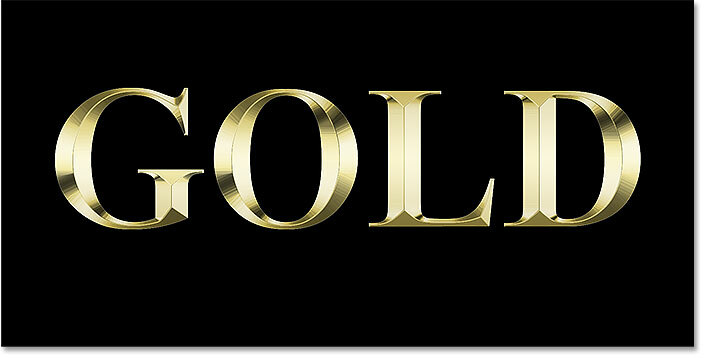 We're going to create a custom gold gradient for the text. And to help us out, I've sampled colors from a photo of a gold coin. Changing the color for the left side of the gold gradient. 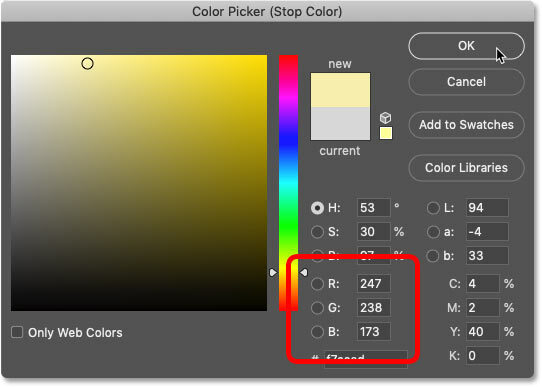 Double-clicking the right color stop. Changing the color for the right side of the gold gradient. Learn how to sample text colors from your images! You'll need this gradient again, so save it as a preset. 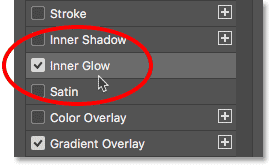 Saving the custom gradient as a preset. 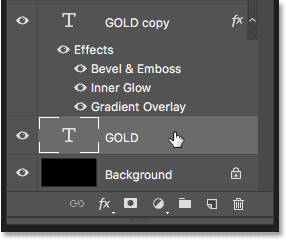 Photoshop adds a thumbnail for our new Gold gradient preset. 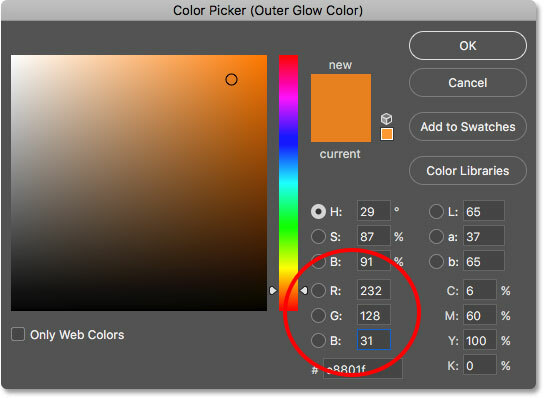 Click OK to close the Gradient Editor, but leave the Layer Style dialog box open. 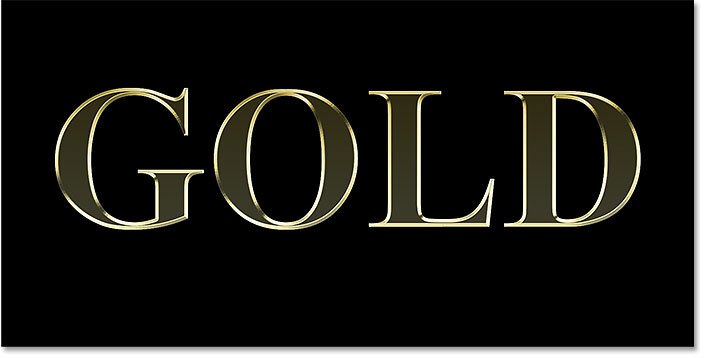 The text colorized with the gold gradient. Changing the Style option to Reflected. The effect with the gradient Style set to Reflected. 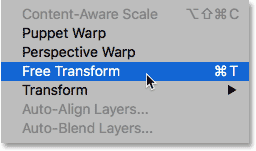 Along the left of the Layer Style dialog box is a list of all the layer effects we can choose from. Adding a Bevel & Emboss layer effect. Resetting the Bevel & Emboss options to the defaults. In the Structure section, make sure the Style is set to Inner Bevel. Changing the Technique to Chisel Hard. 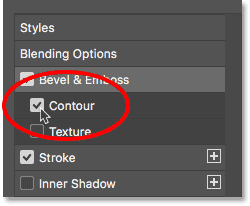 In the Shading section, click on the small arrow to the right of the Gloss Contour thumbnail. Make sure you click the arrow, not the thumbnail. Changing the Gloss Contour option to Ring-Double. Still in the Shading section, set the Angle to 120°. 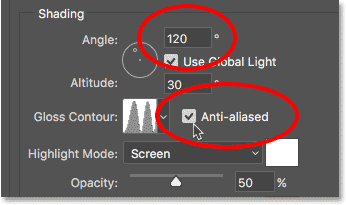 Setting the angle to 120° and turning on anti-aliasing. The Highlight Mode and Shadow Mode opacity options. The text after applying Bevel and Emboss. To make the text look more like solid gold, close up the space inside the letters by increasing the Size of the Bevel and Emboss effect. The easiest way to do that is to first click inside the Size value box to make it active. Then use the Up Arrow key on your keyboard to slowly increase the value. As you do, you'll see the letters filling in from the outer edges towards the centers. 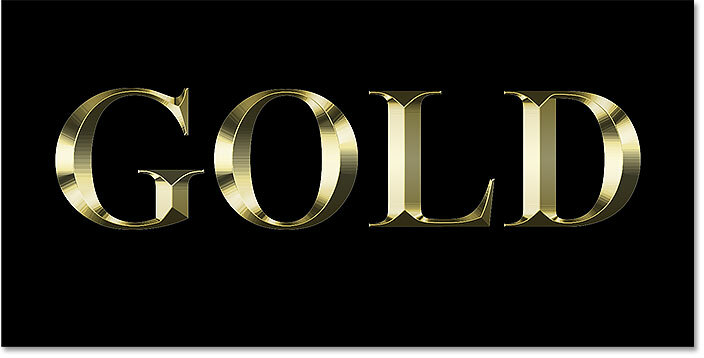 The gold text effect after increasing the Size value. The effect after increasing the Depth value. Resetting the Inner Glow settings to the defaults. 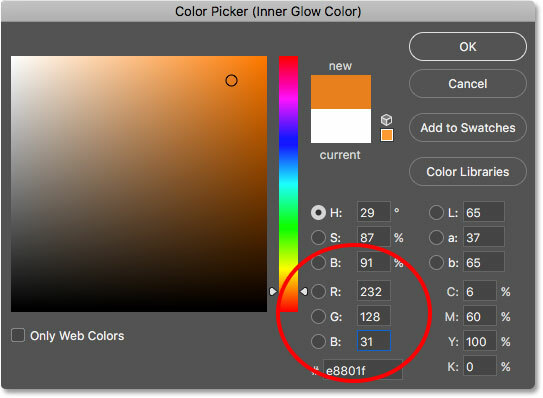 Change the Blend Mode of the Inner Glow from Screen to Multiply. Setting the blend mode and opacity of the Inner Glow effect. When you're done, click OK to close the Layer Style dialog box. The gold letter effect after applying the Inner Glow. 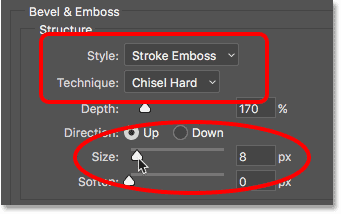 Selecting a Stroke layer style. Resetting the Stroke options to the defaults. 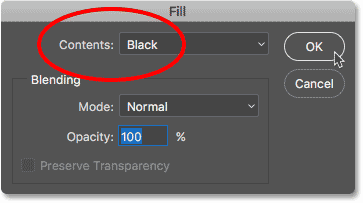 Change the Fill Type of the stroke from Color to Gradient. 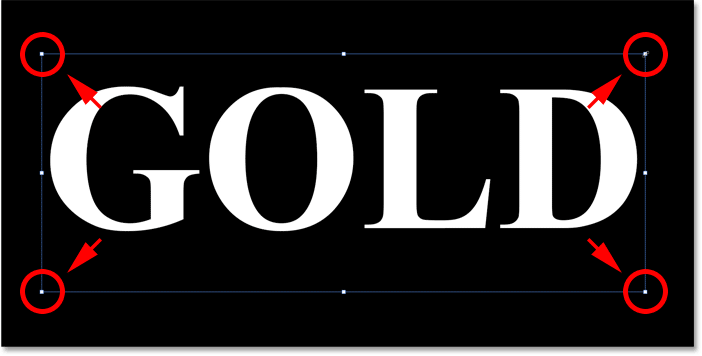 Changing the Fill Type to Gradient and choosing the custom Gold gradient. Change the Style of the gradient from Linear to Reflected. Changing the Style, Position and Size options. 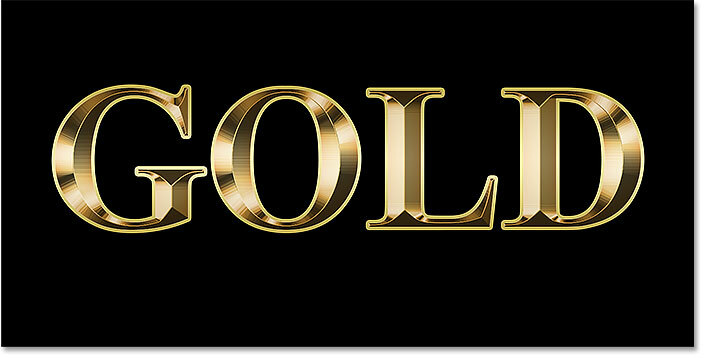 The effect after applying the gold gradient to the stroke. We're going to apply another Bevel & Emboss effect, not to the letters but to the stroke. 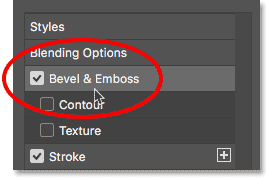 Clicking on Bevel & Emboss. Don't click Reset to Default this time, since we're going to use most of the same settings as before. Instead, simply change the Style from Inner Bevel to Stroke Emboss. 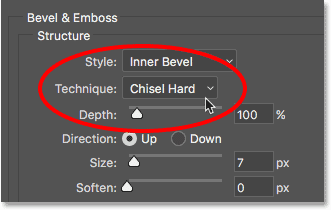 The Technique should be set to Chisel Hard. Changing the Style, Technique and Size options. The Bevel and Emboss settings for the stroke. 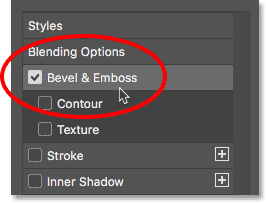 Below Bevel & Emboss on the left of the Layer Style dialog box is an effect named Contour. Click inside the checkbox to turn it on. Selecting Contour for the stroke. The stroke now shares the same lighting and reflection effects as the type. Let's finish off our layer styles by adding a faint glow around the text, as if light was reflecting off the gold letters. Setting the opacity and changing the color of the Outer Glow. Choosing a new color for the Outer Glow. Increasing the Outer Glow size. We're done with our layer effects, so click OK to close the Layer Style dialog box. The effect is nearly complete. Learn how to copy layer effects between layers in Photoshop! We'll finish off the gold text effect by adding sparkles to the letters. And to do that, we'll need to add the sparkles on their own separate layer. Selecting the top Type layer. 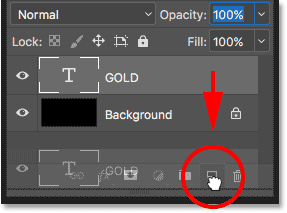 Clicking the Add New Layer icon while holding Alt (Win) / Option (Mac). The new layer is added above the others. We'll create the sparkles using one of Photoshop's brushes. 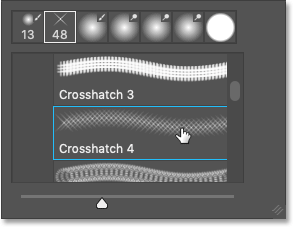 The brush we need for our sparkles, "Crosshatch 4", is included with Photoshop as part of the Assorted Brushes set. But the Assorted Brushes are not loaded automatically, so we'll need to load the set ourselves. 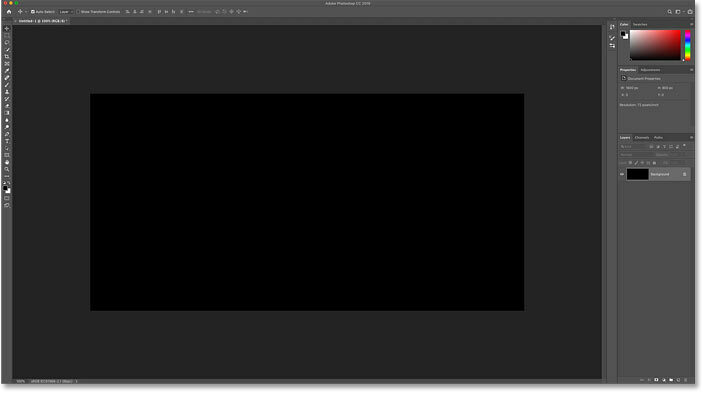 And this brings us to another difference between Photoshop CC and CS6. 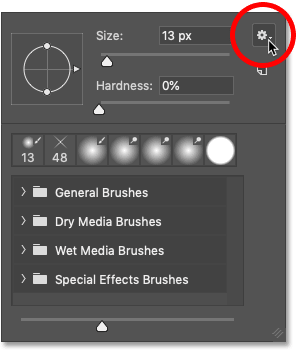 In Photoshop CC 2018, Adobe redesigned the brush panels. So use the steps below to load the brush based on your version of Photoshop. 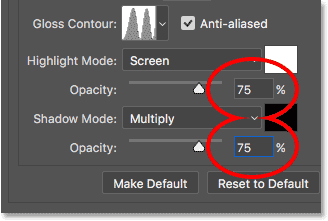 In Photoshop CC, with the Brush Tool selected, right-click (Win) / Control-click (Mac) inside the document to open the Brush Preset Picker. 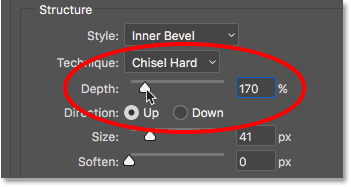 Clicking the Brush Preset Picker's menu icon in Photoshop CC. Restoring the Legacy Brushes set. 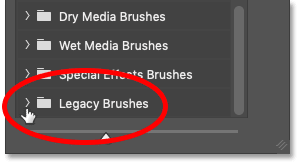 Opening the Legacy Brushes folder. Opening the Assorted Brushes set. 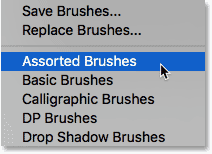 Then scroll down the list of assorted brushes until you find the Crosshatch 4 brush. 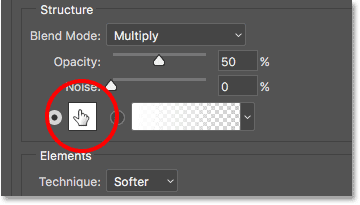 Double-clicking the Crosshatch 4 brush thumbnail. 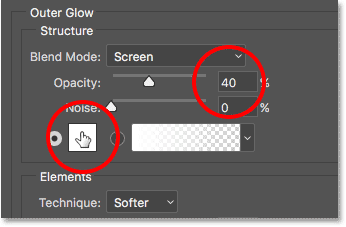 In Photoshop CS6, with the Brush Tool selected, right-click (Win) / Control-click (Mac) inside the document to open the Brush Preset Picker. 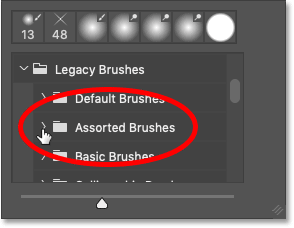 Clicking the Brush Preset Picker's menu icon. Choosing "Assorted Brushes" from the menu. Adding the Assorted Brushes in with the current brushes. Back in the Brush Preset Picker, scroll down through the brushes until you find the 48 pixel Crosshatch 4 brush. 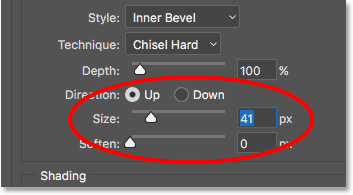 Look for the brush that looks like an "X" with the number 48 under it (48 means that the default size of the brush is 48 pixels). 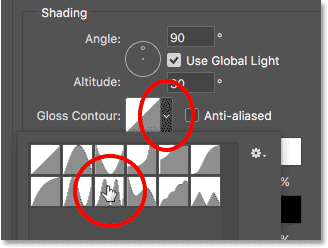 Double-clicking the "Crosshatch 4" brush thumbnail. Choose a color for the sparkles by sampling a color from the text. 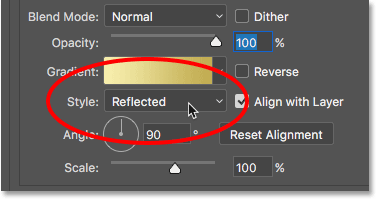 Press and hold the Alt (Win) / Option (Mac) key on your keyboard to temporarily switch from the Brush Tool to the Eyedropper Tool, and then click on a light gold color to sample it. 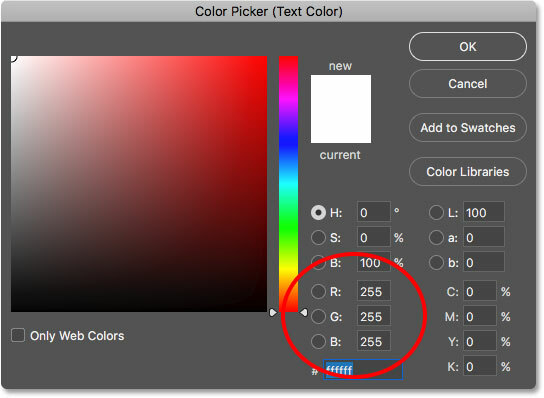 Holding Alt (Win) / Option (Mac) and sampling a color from the text. Release your Alt (Win) / Option (Mac) key to switch back to the Brush Tool. And then click in a few random spots around the text to add your sparkles. For added variety, change the brush size before each click by pressing the left or right bracket keys on your keyboard. The left bracket key makes the brush smaller and the right bracket key makes it larger. Don't add too many sparkles or you'll overdo it. A couple of larger and smaller ones is all you really need. If you don't like the last sparkle you added, press Ctrl+Z (Win) / Command+Z (Mac) on your keyboard to undo it, and then try again. The effect after adding some sparkles. And finally, if the sparkles are looking a bit too bright, simply lower the opacity of the "Sparkles" layer. 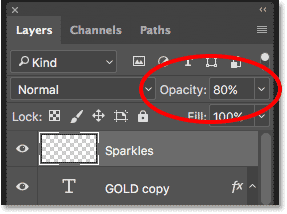 Reduce the brightness of the sparkles by lowering the layer opacity. And there we have it! 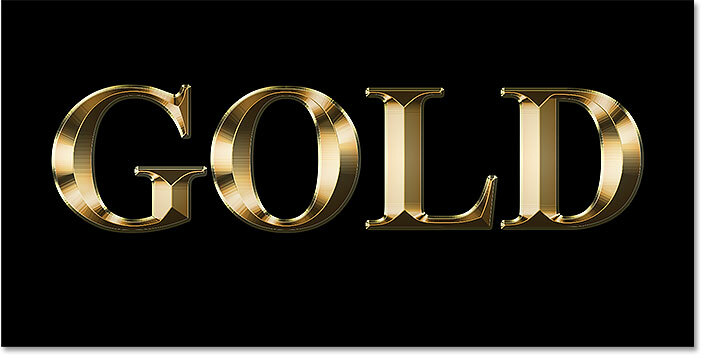 That's how to create gold text in Photoshop! Now that you've created the gold text, check out Part 2 where I show you how to easily replace the background of the effect! Or visit our Text Effects or Photo Effects sections for more tutorials!